As the parent to 5 children, ages 9 and under, my life is in the kitchen. Whether it's preparing breakfast, lunch or dinner, or making multiple snacks per day, the kitchen is my "headquarters" and it's where all the action happens. I've found recently that my older kids have become fussy, and I must rethink everything that I prepare for them. My eldest son has gotten so fussy, that he often returns home with an uneaten lunch. Boo! However, my youngest boys are lunch champions, and come home with just crumbs in their lunch bags. It does a mother proud. A Quick & Fun Snack! 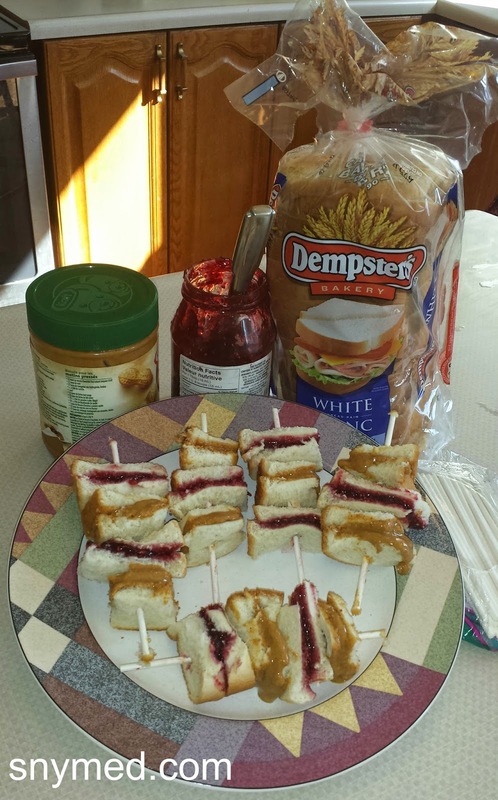 One easy snack that I've been making are peanut butter and jam skewers on Dempster's white bread. As the bread has a soft crust, it's easy for the kids to eat and I don't have to remove the crust. These are super easy to make, my fussy kids will eat these because they are bite-sized and kind of a novelty. 1.Spread peanut butter on one slice of bread, and spread jam on the slice. 2.Put both bread slices together to make a sandwich. 3.Slice the sandwich 3 times lengthwise, and 3 times crosswise so you've created a grid of 9. 4.Carefully slide 3 pieces of sandwich onto each skewer stick, and serve! 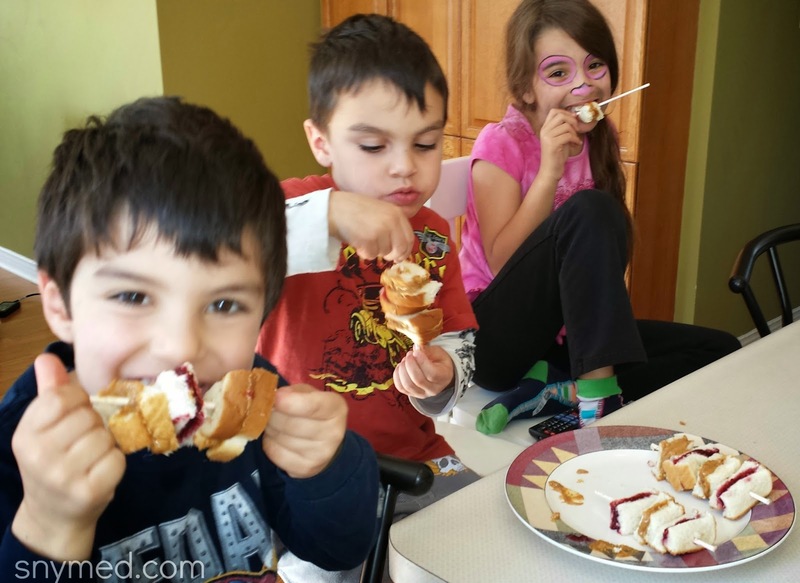 What easy snacks do you serve to your kids or grandkids? Do you have a fussy eater in your household? that looks fun! My kids would love that with a few grapes stuck on there too! What an unique twist on a classic sandwich! I'll have to try this with my kids! This looks like something even my picky boys would eat! Way to make food fun mama! Anything on a screwer taste better right? Such a fun twist to an everyday favorite! The nephew is entirely fussy and haven't yet figured out that magical snack that would get him to eat just a bit more. Scewers sounds like a fun thing to do! 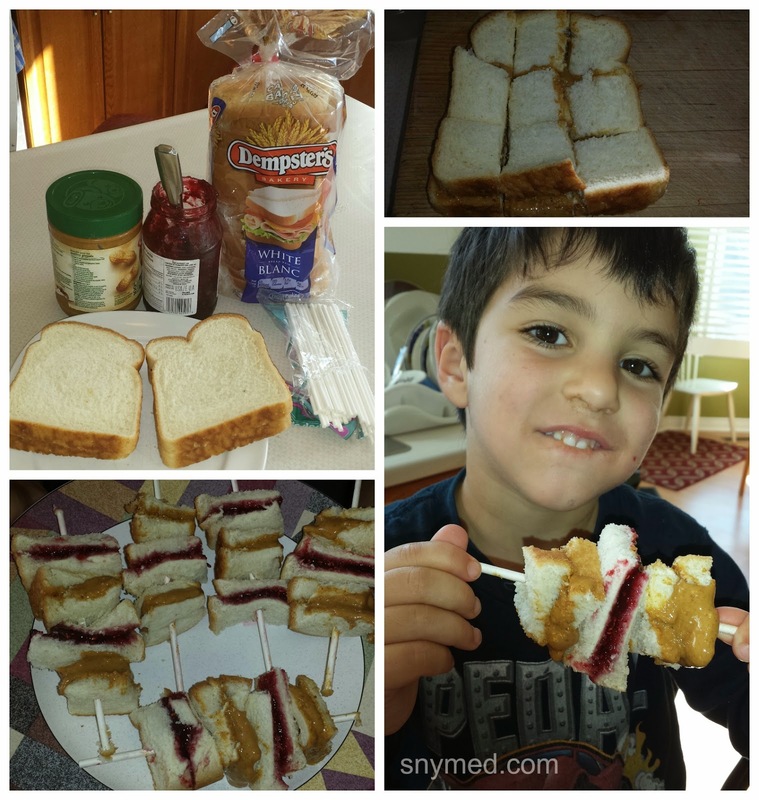 My son is such a picky eater it is so hard to make anything fun to eat, but he loves peanut butter sandwich so I am definitely going to try this.